We need Bees. We want more bees. Other cities have done it without major problems. Los Angeles is honeybee heaven. The warm Southern California climate and long growing seasons provide year-round food for bees. The city's trees, flowers and flora are largely free of pesticides. It's the perfect place for backyard beekeeping — except that beekeeping is not legal here. That could soon change. A group of bee advocates and neighborhood councils has been lobbying the City Council to expressly allow beekeeping on single-family residential lots. Current law permits it only in areas zoned for agriculture. Next month, the City Council will decide whether to move forward with legalized beekeeping. There's a good reason to allow it. Commercially raised bees used to pollinate crops are disappearing in big numbers because of what's known as colony collapse disorder, but nobody knows what's causing the problem. Urban honeybees may end up replenishing the diminishing supply, or providing disease-resistant genes that can be introduced in the commercial bee lines. Los Angeles should follow the lead of other major cities and draft rules that allow residents to keep bees, while providing some common-sense protections for neighbors. 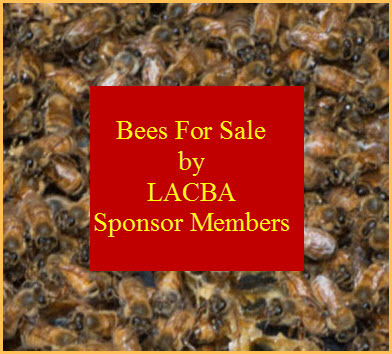 There's already an established backyard beekeeping community in Los Angeles despite the fact that it is not legal. The growing urban agriculture movement has spurred more interest in homegrown hives (in part because the bees are needed to pollinate the new urban crops) and more confusion over what is and isn't allowed. New York City allowed illicit apiarists to come out of the shadows in 2010, and since then hobbyists have established hives on building roofs and in backyards. The city set basic rules: Colonies must be in well-maintained, movable frame hives with a constant water source, in a location that doesn't pose a nuisance. Beekeepers file a one-page hive registration form with the city health department each year. 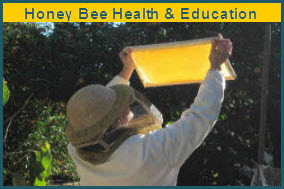 Santa Monica permitted beekeeping in 2011 with similar requirements. Residents are allowed two hives per backyard, and the hives must be at least five feet from the property lines. Apiarists who don't follow the rules or who let their hives become a nuisance to neighbors face fines or misdemeanor charges. Both cities said they've had no major problems; beekeepers have largely followed the rules or moved their hives in response to complaints. And city officials said there's been a benefit: a larger network of amateur beekeepers to call upon to remove swarms rather than exterminate them. There will understandably be some concern and fear from neighbors — a swarm of feral honeybees can look like something out of a horror movie. Beekeeping experts say there are already lots of naturally occurring, unmanaged hives in the region. A managed hive in which bees have adequate food and space is less likely to produce a swarm. We need bees. We want more bees. It's time to legalize beekeeping.